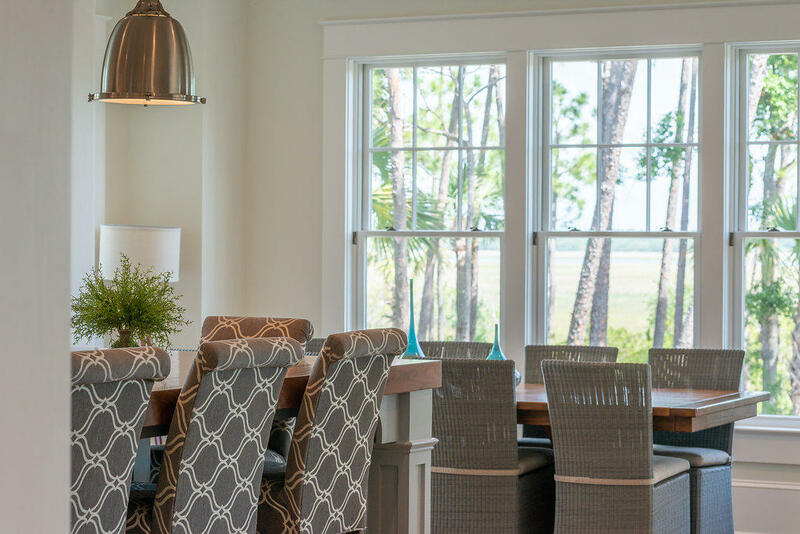 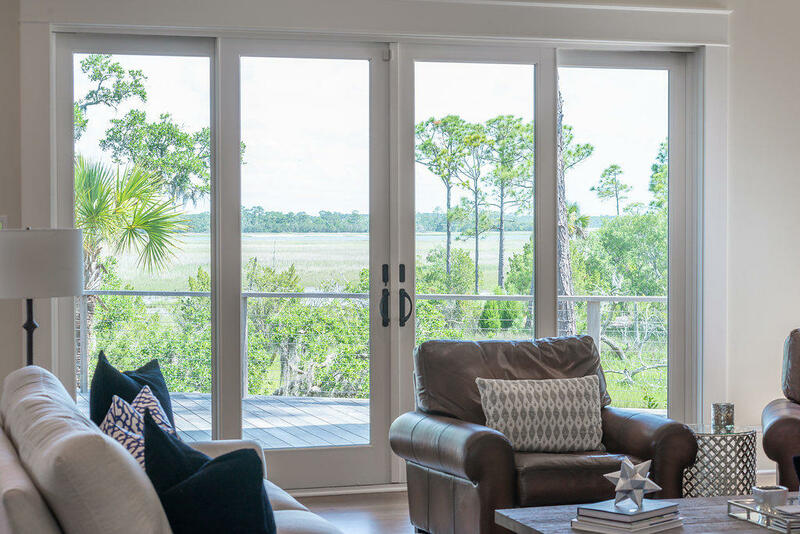 Enjoy wide panoramic views across the marsh to the Kiawah River from this magnificent home in The Preserve. 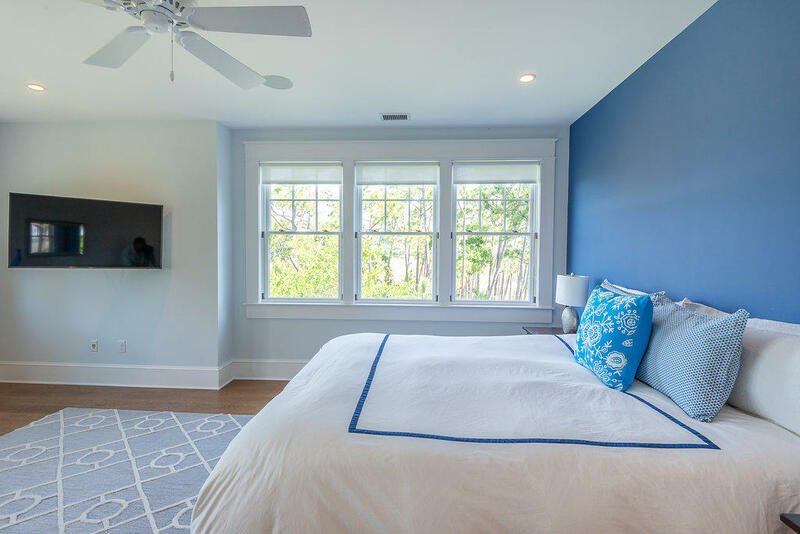 The 5BR home was designed and built by Dolphin Architects & Builders in 2016. 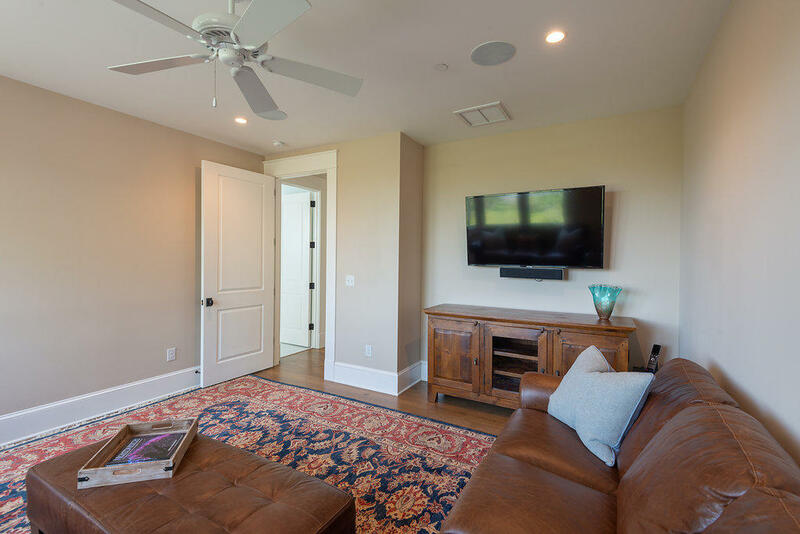 The home has barely been occupied and feels like a new home. 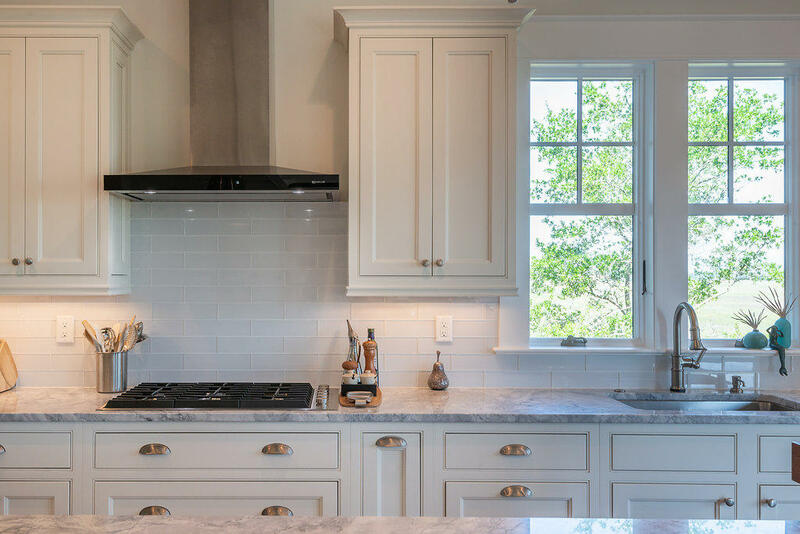 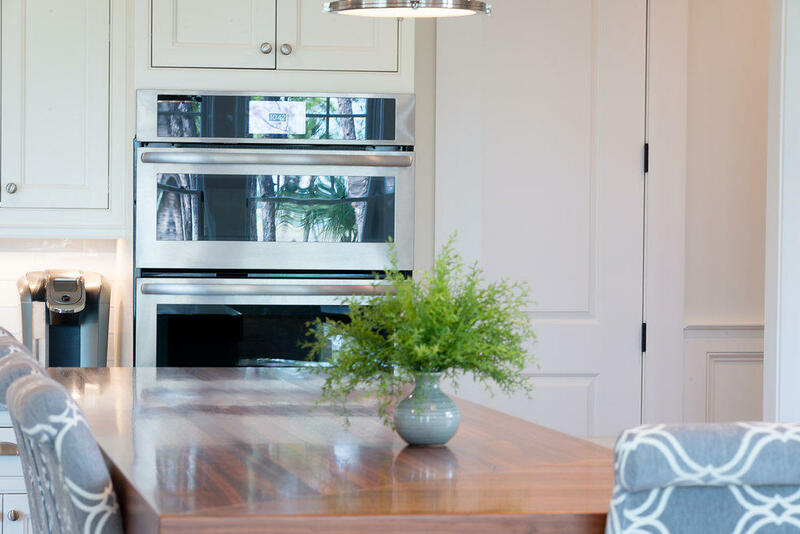 Custom and quality finishes include a cedar shingled exterior, metal roof, white oak wide board floors, a spiral staircase and of course the ''cooks kitchen''. 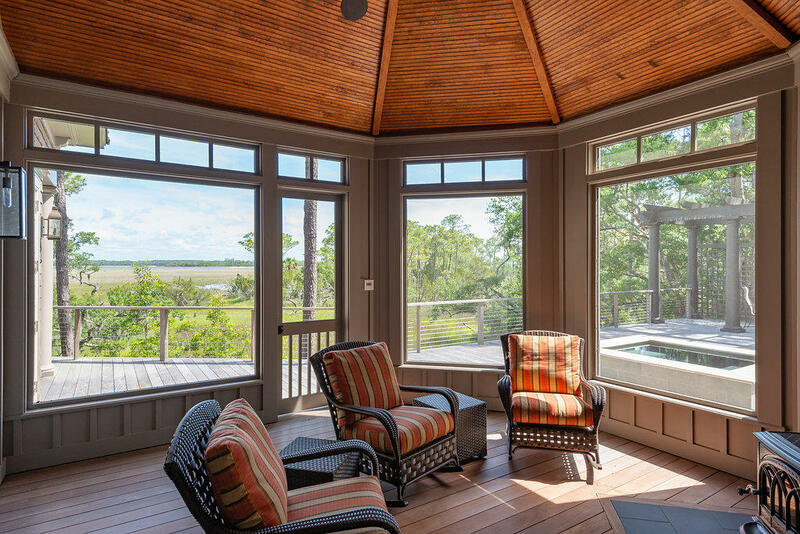 The open floor plan with incredible views from every angle is ideal for entertaining friends and family. 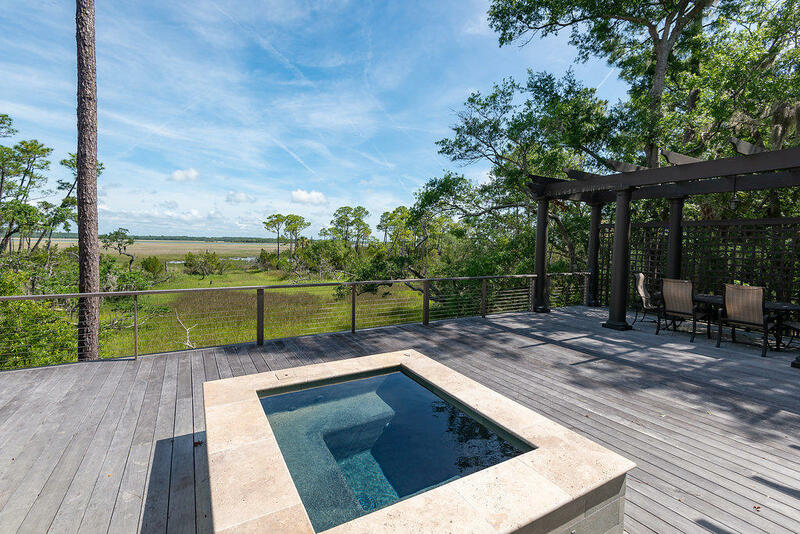 The living areas spill out onto a huge Ipe deck with screened porch and custom spa (a pool was designed and approved and is an option). 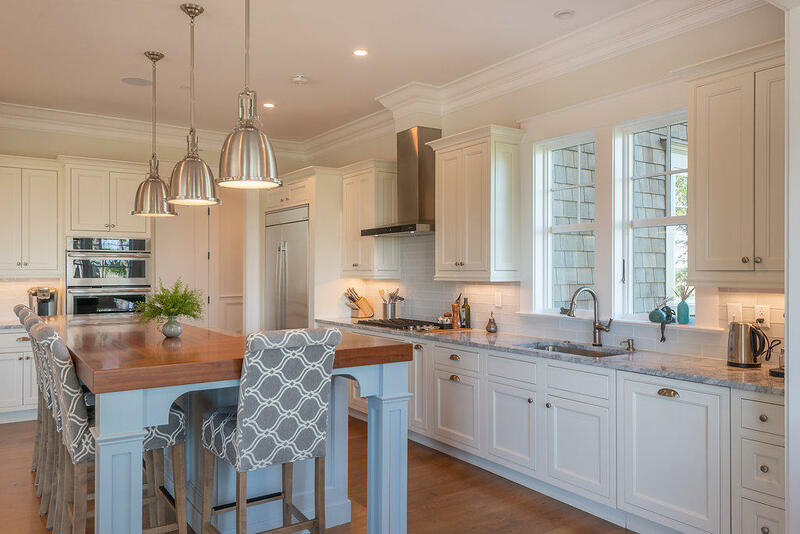 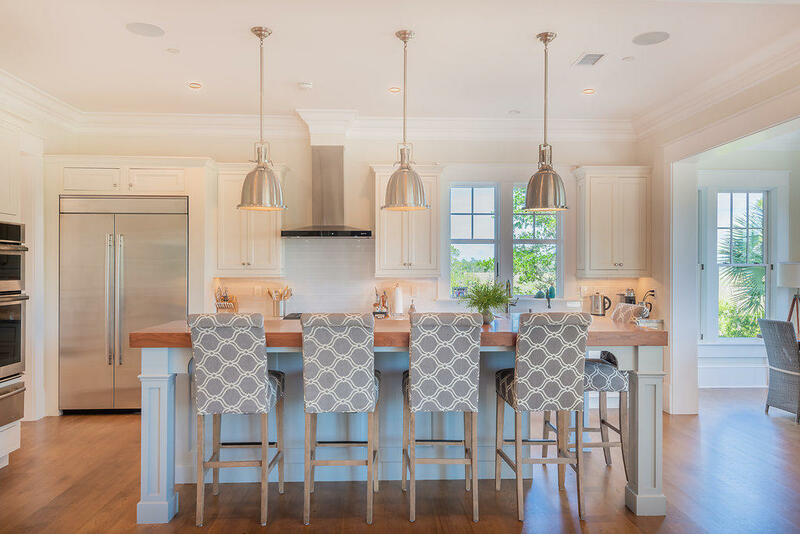 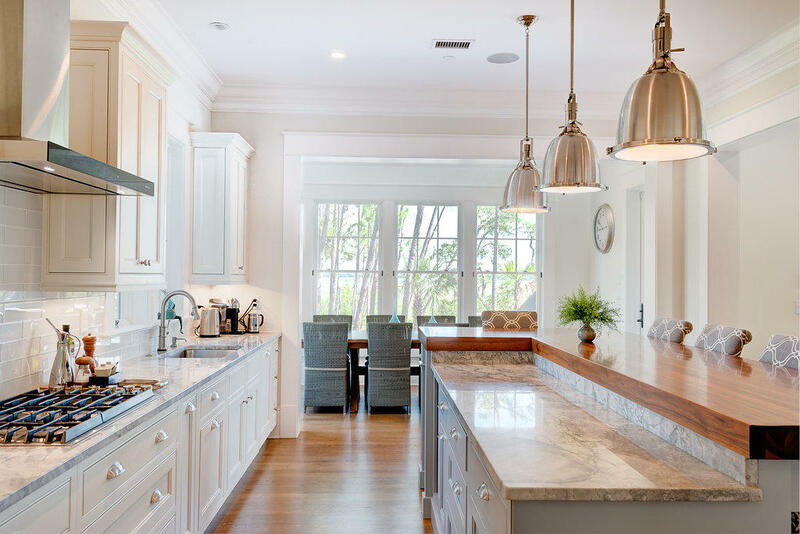 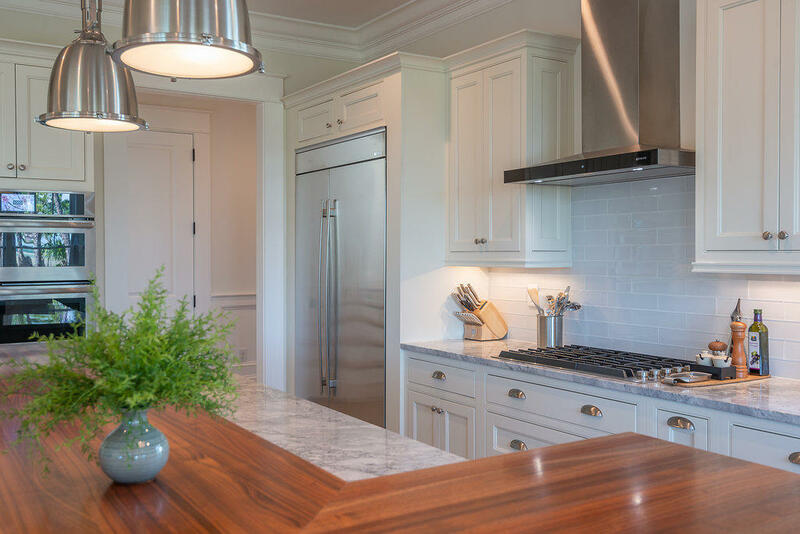 The elegant kitchen is centered by a large walnut topped island with elegant pendant lighting and quartzite counters. 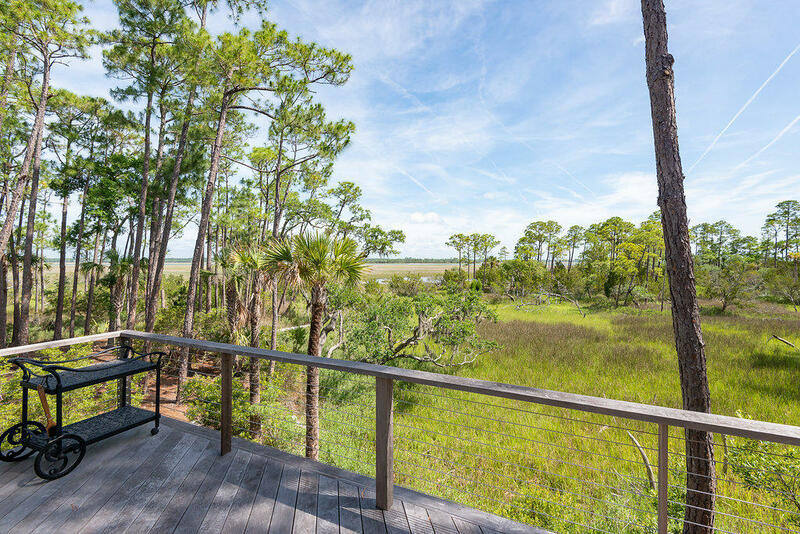 There are dual master suites, that capture this special view of the marsh and river. 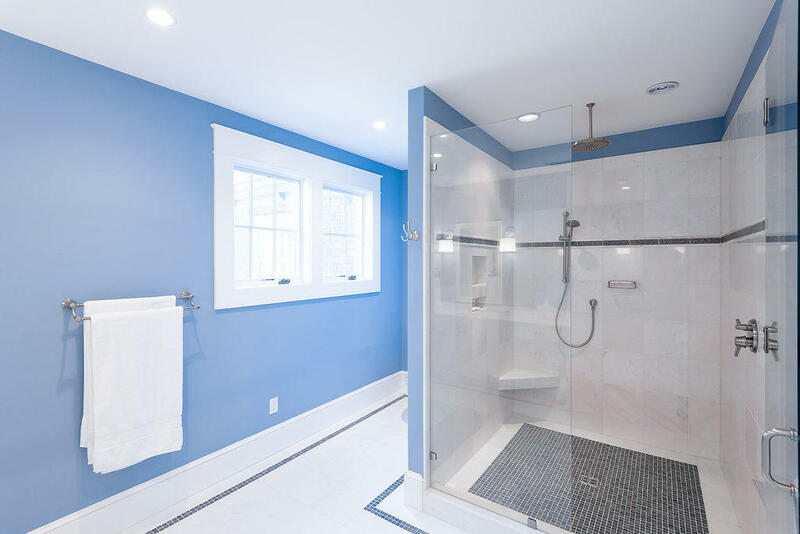 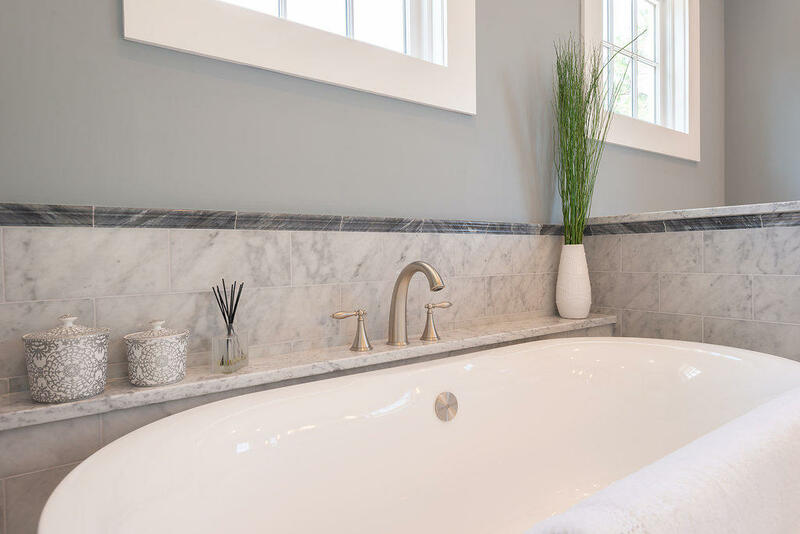 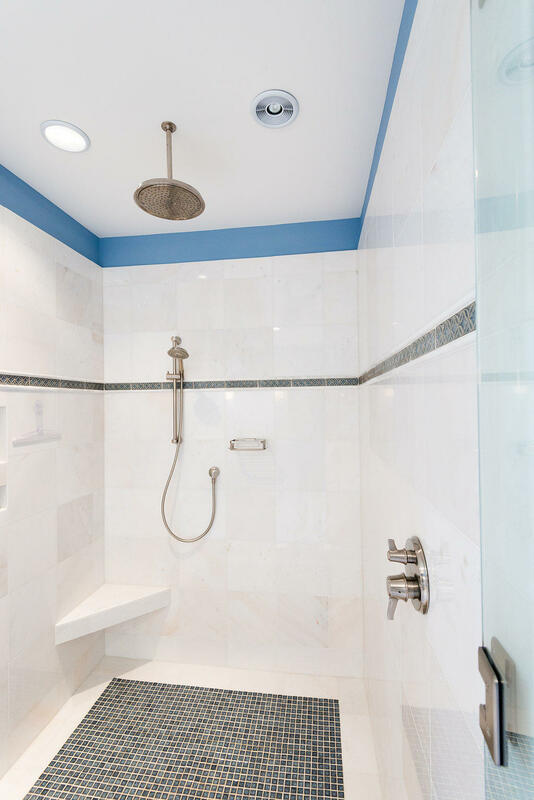 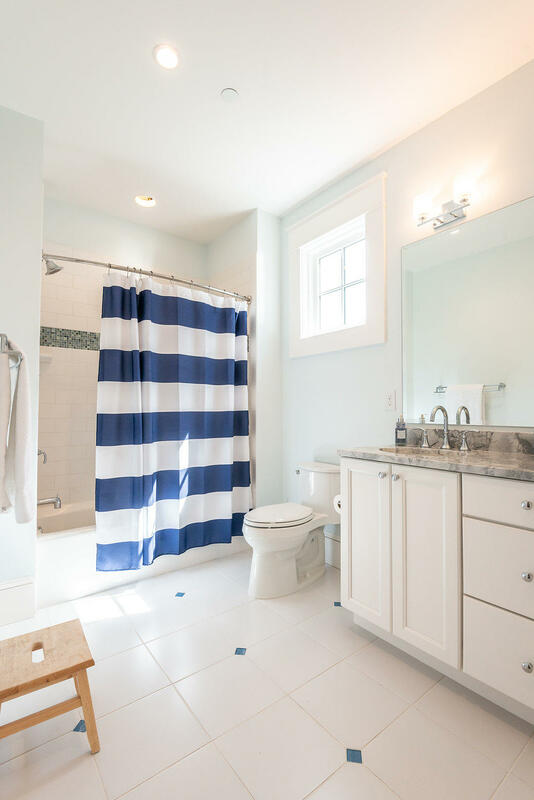 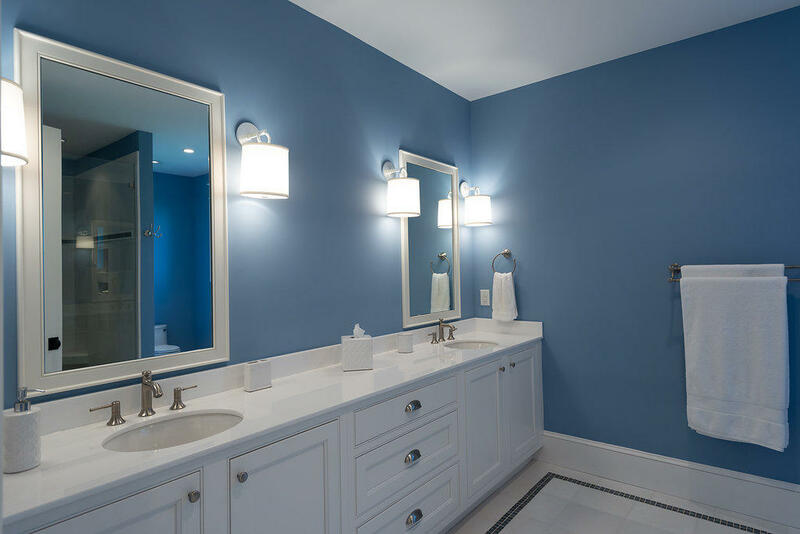 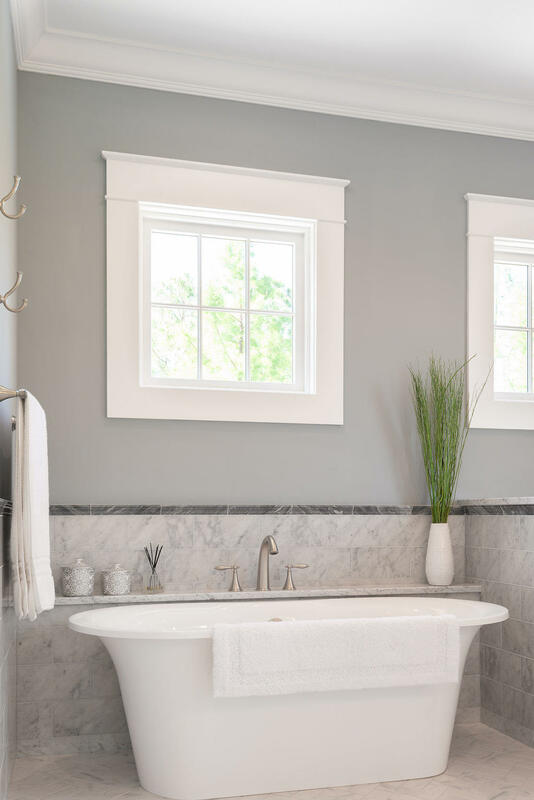 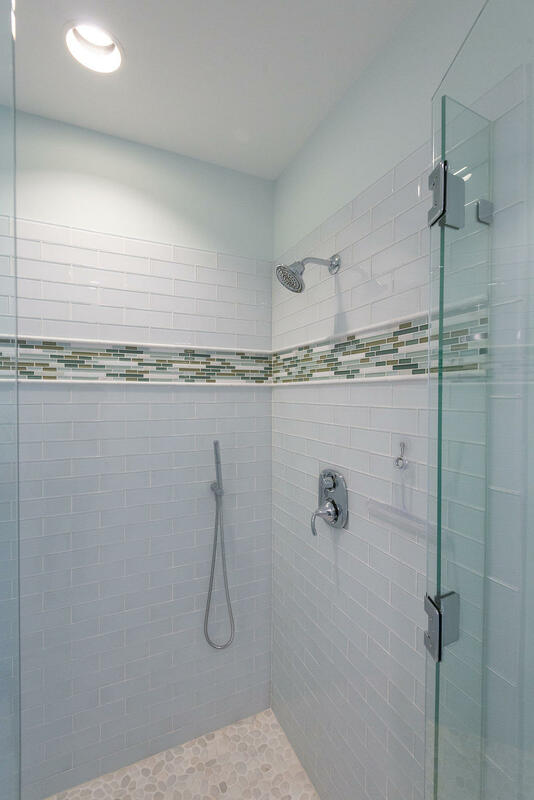 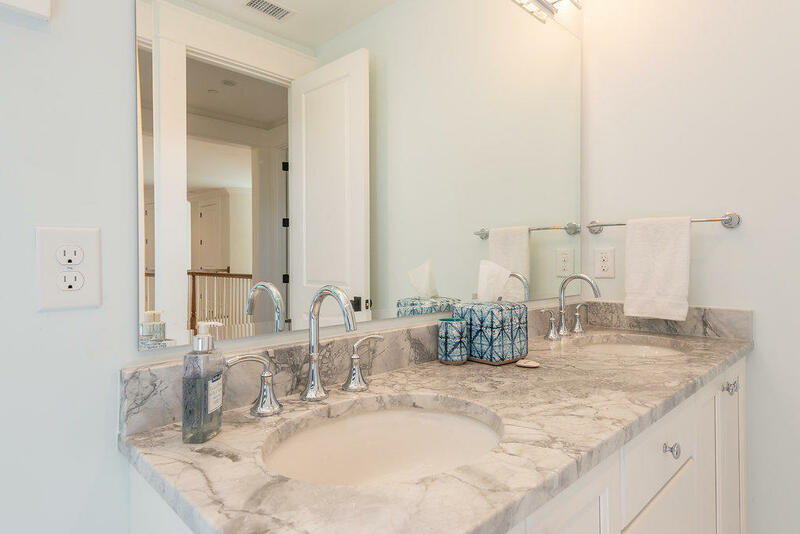 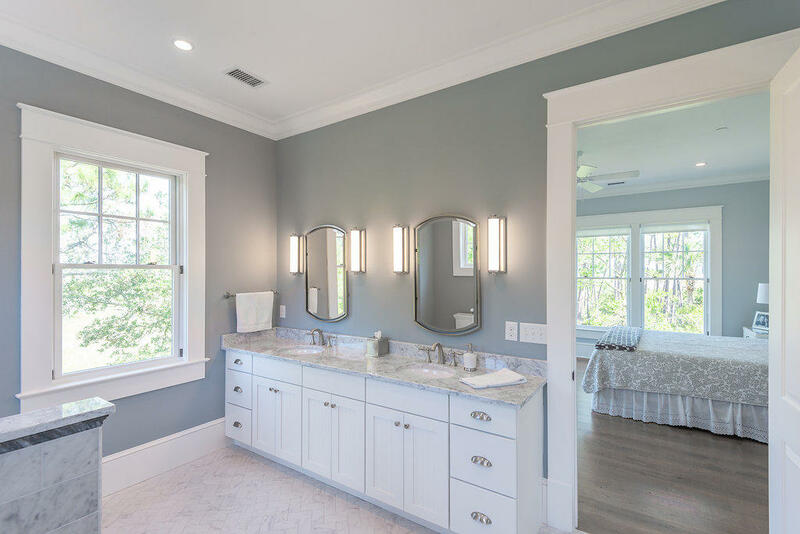 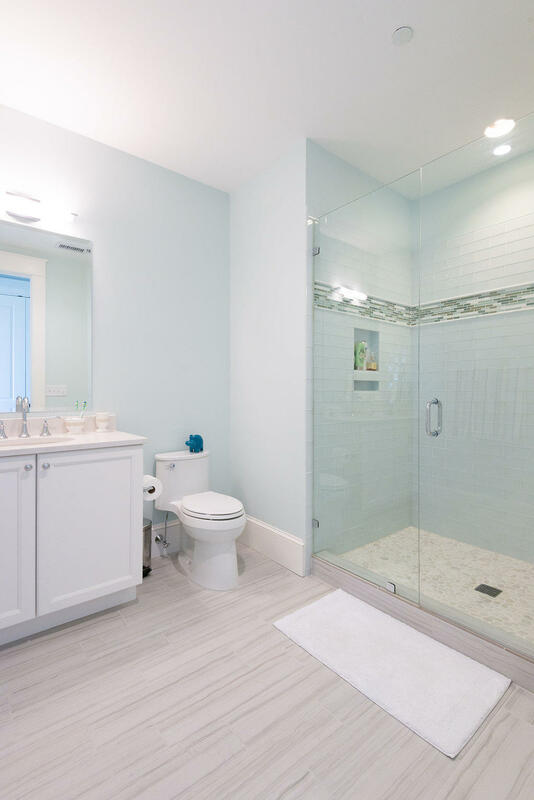 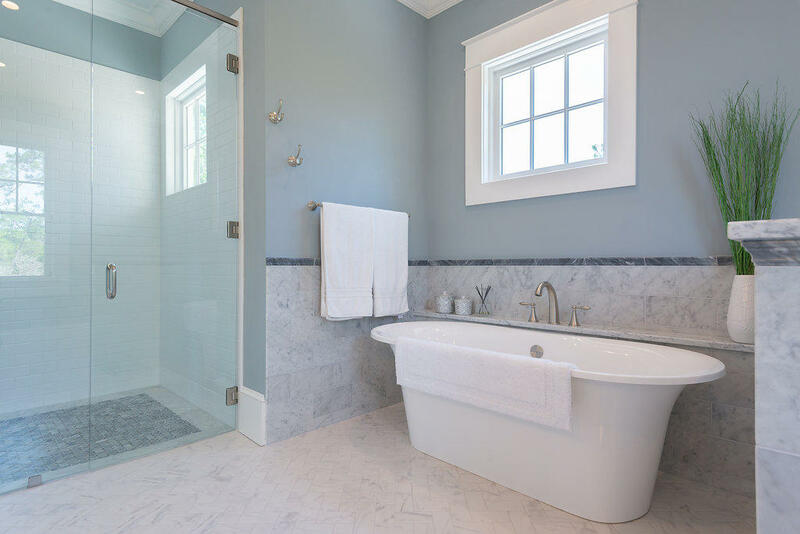 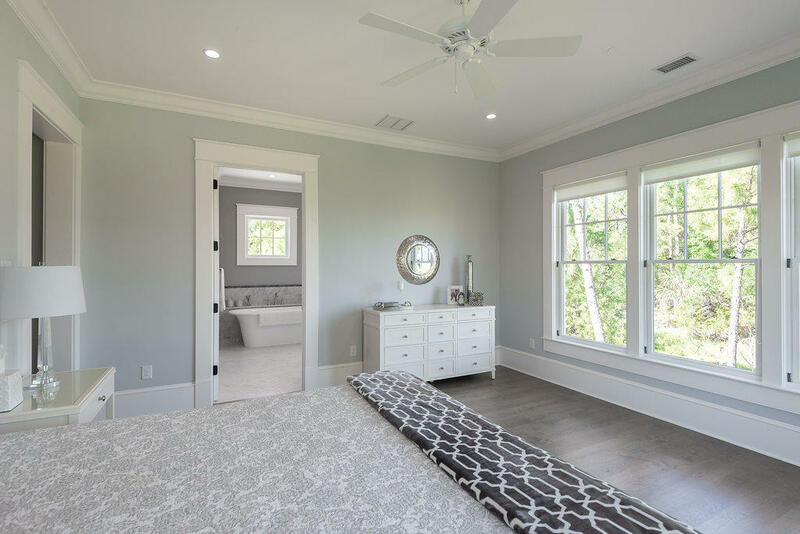 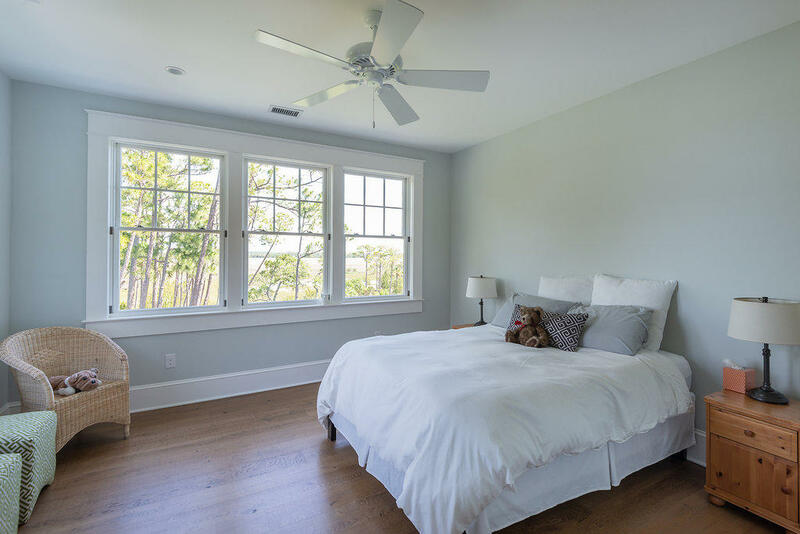 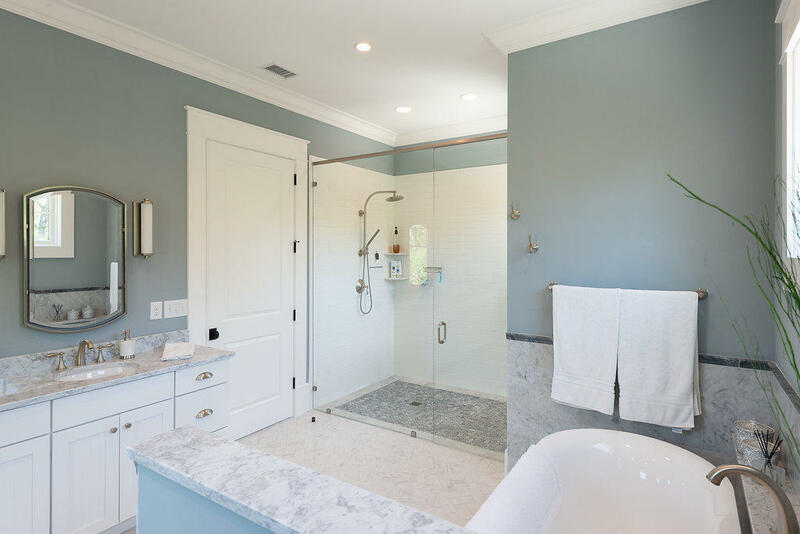 The large first floor master suite has a large walk-in closet, room for a sitting area and a truly elegant master bath with a frameless shower, soaking tub and Carrara marble dual vanities. 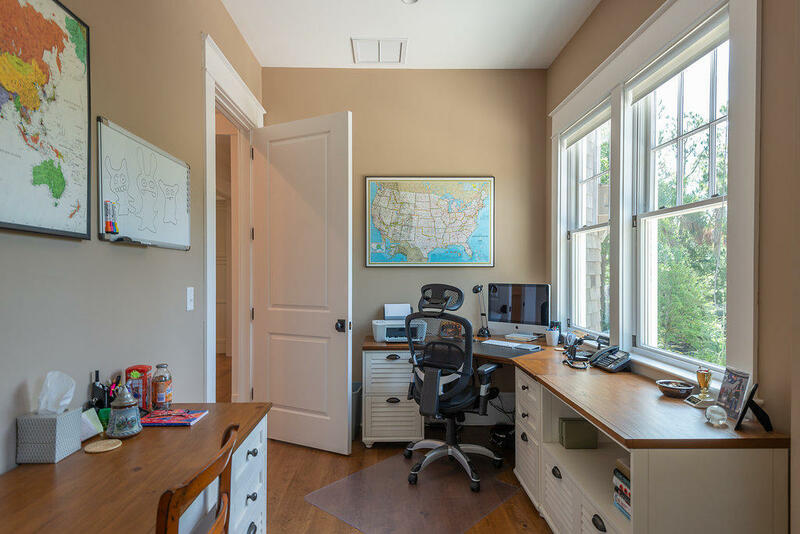 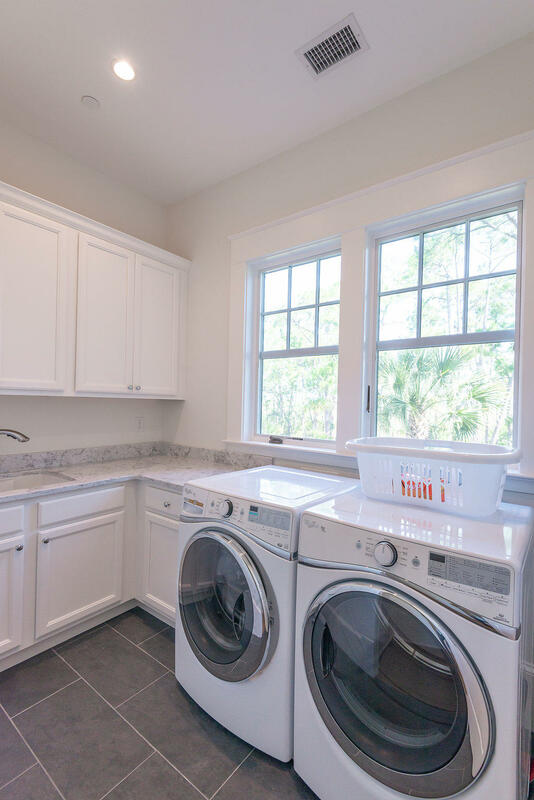 Also on the first floor you will find a home office/study, laundry-utility room and a another room that the sellers have used as a workout room or it could be used as a den. 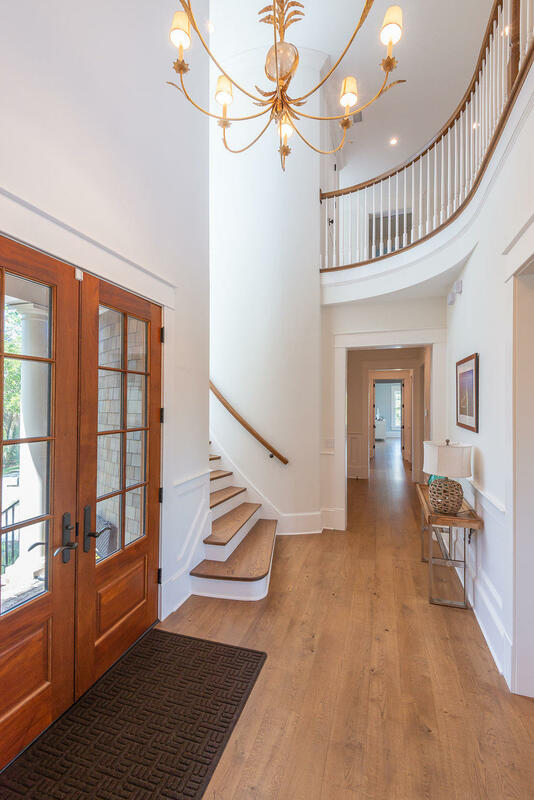 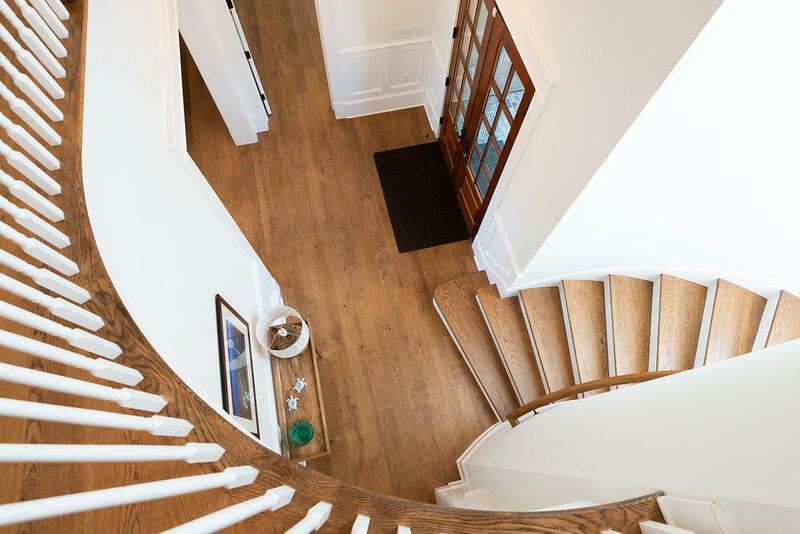 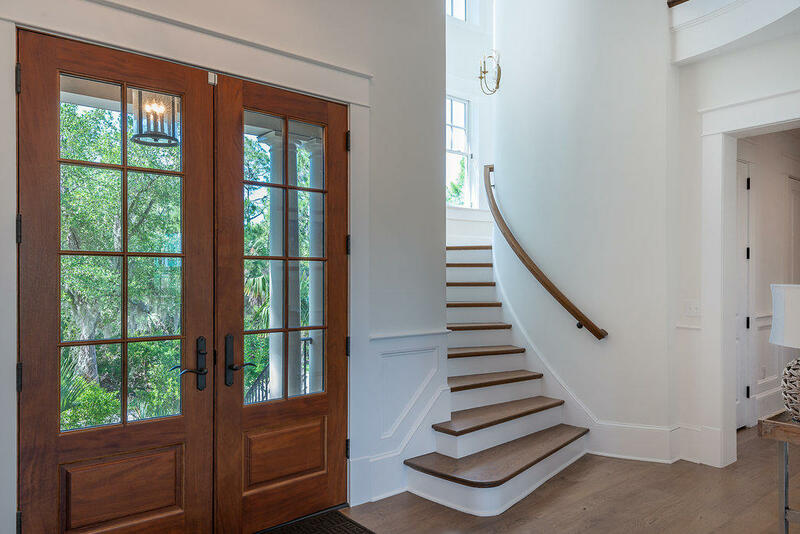 Walk up the beautiful curved grand southern-style staircase to find the second master suite plus three nice sized bedrooms with lovely bathrooms. 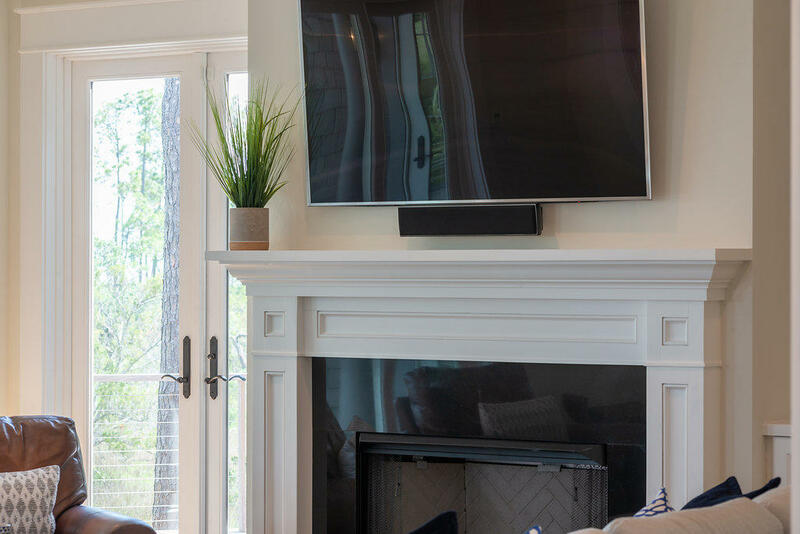 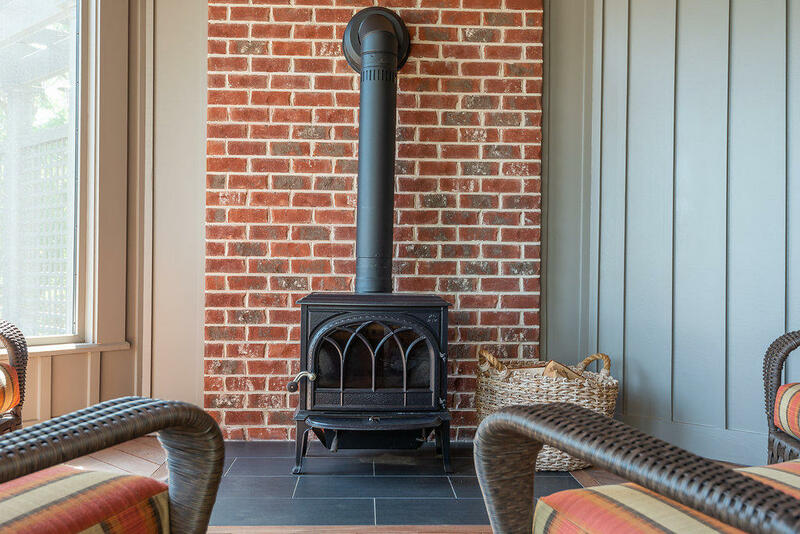 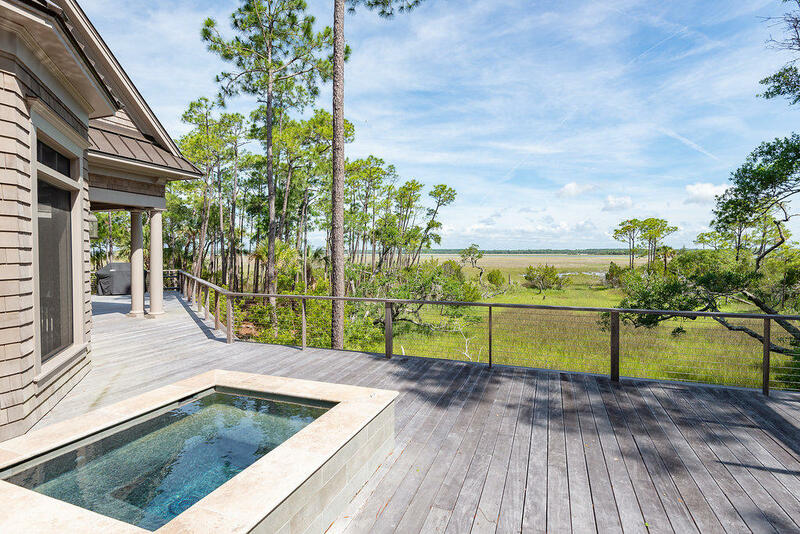 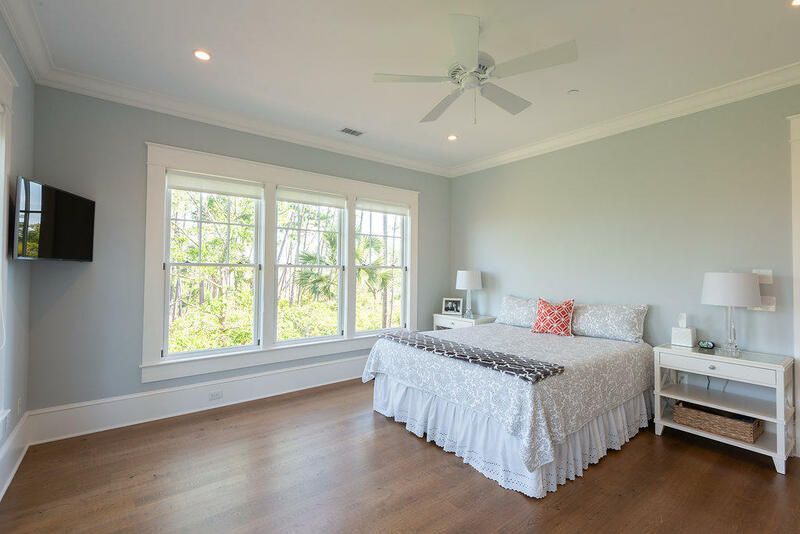 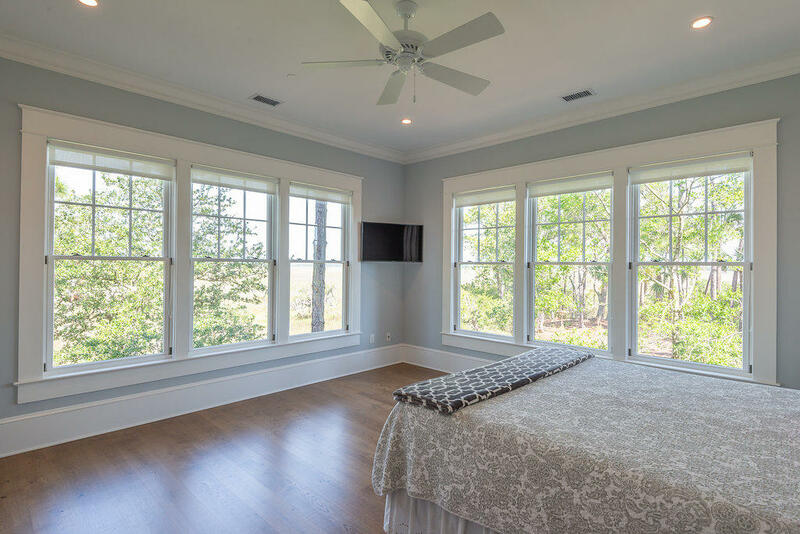 Completing your private marshfront life on Moon Tide Lane is an expansive deck featuring a screened porch with a Norwegian-style wood stove and a half bath to accommodate those enjoying the existing large spa or a future pool, which has already been designed. 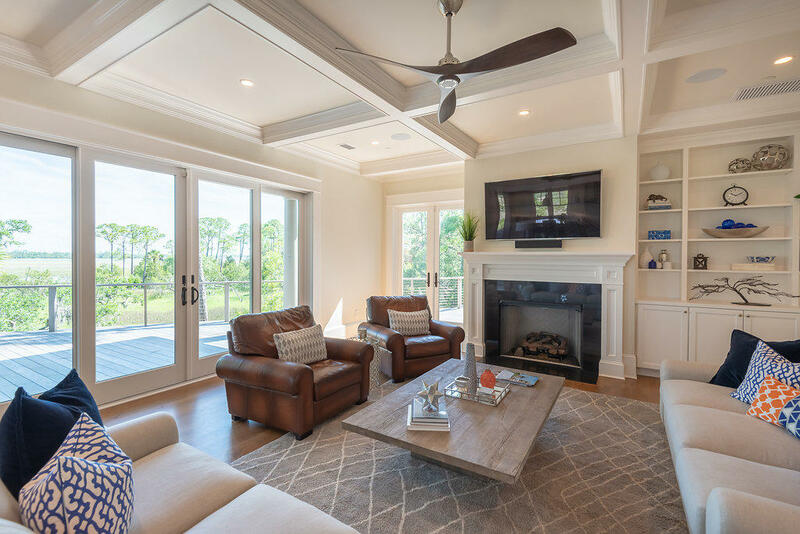 The elevated home with two-car garage has ample storage space, an elevator shaft to all levels, hurricane impact rated windows, wired sound and security systems. 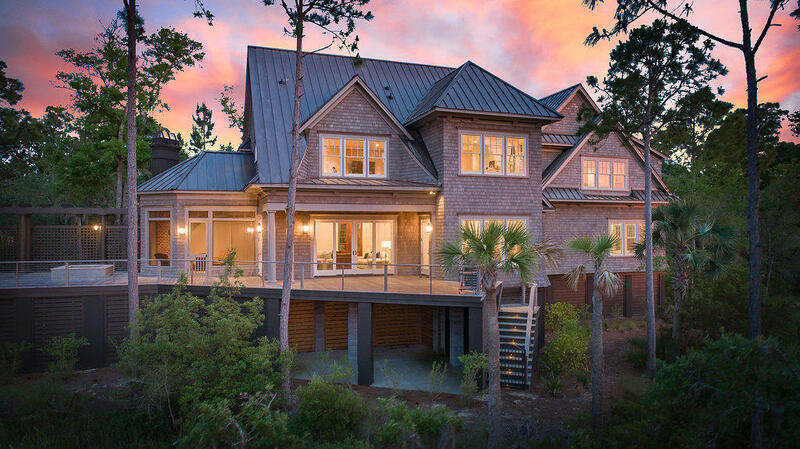 The owners selected this 384 feet wide property, one of the widest on Kiawah Island, and designed their home for optimum privacy with extensive landscape buffers on both sides. 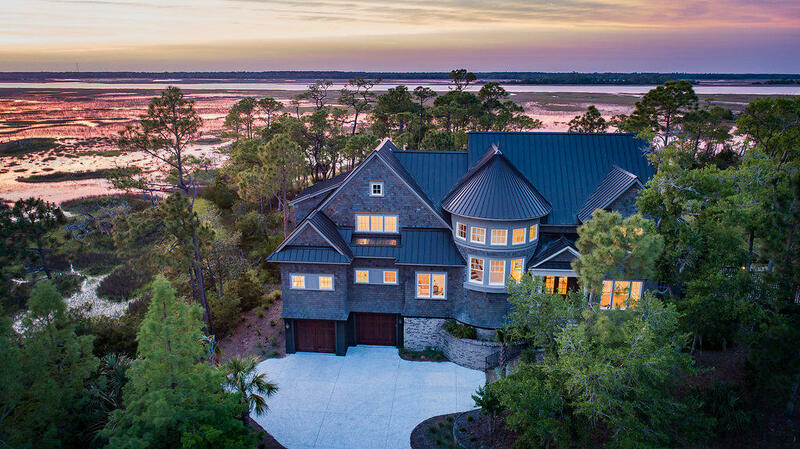 Moon Tide Lane was developed so that no homes will be built across the street. 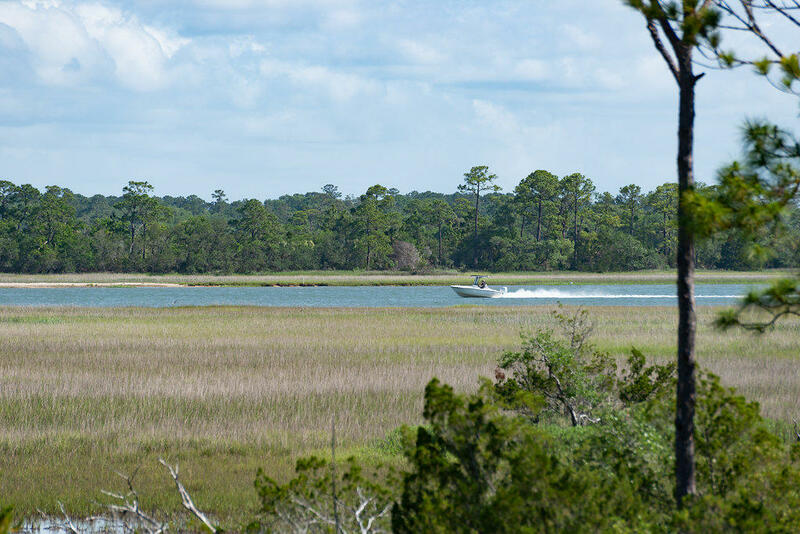 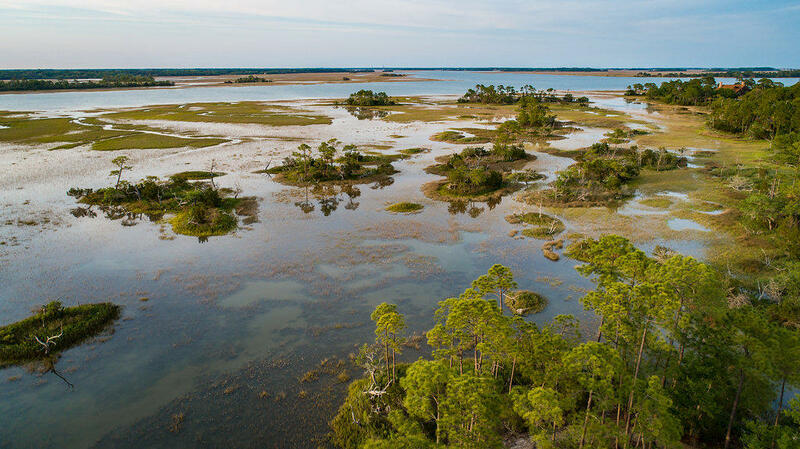 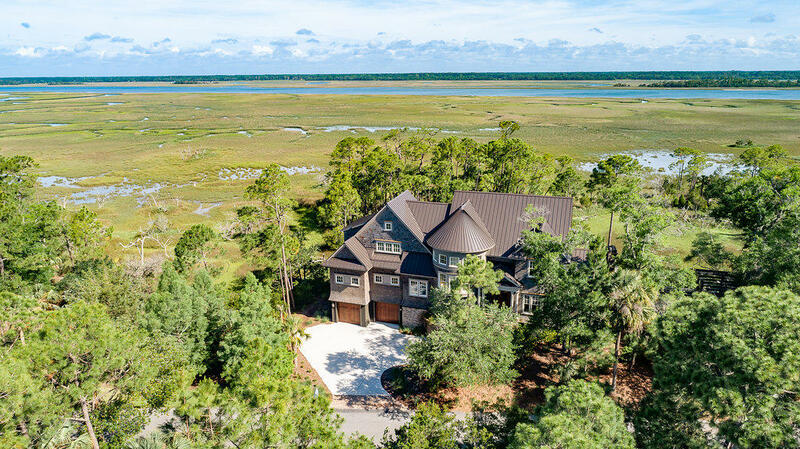 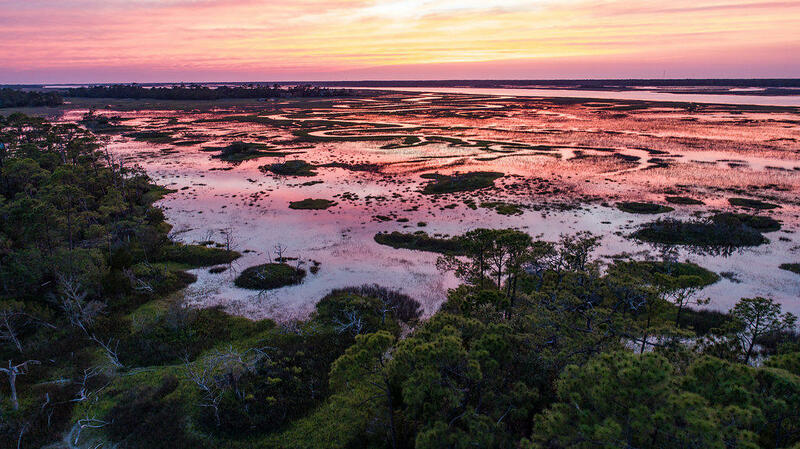 The Preserve is one of Kiawah Island's most desirable neighborhoods, known for its natural splendor, walking trails, bark-clad boathouse for kayak storage, community dock ideal for fishing or crabbing. 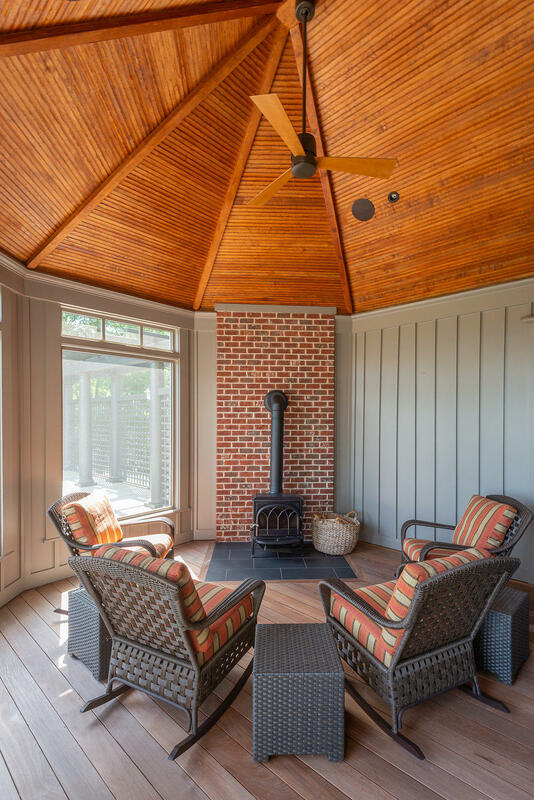 There is also a screed pavilion with a fireplace. 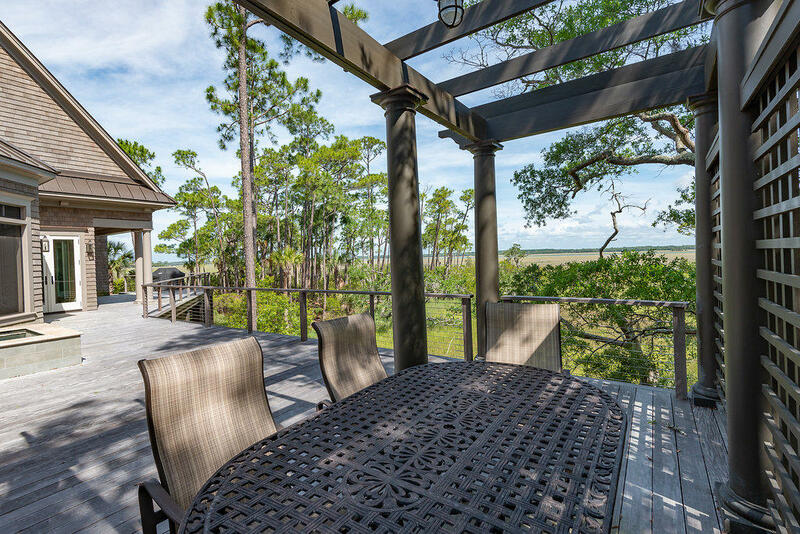 The location also provides a short drive or bike ride o the beach. 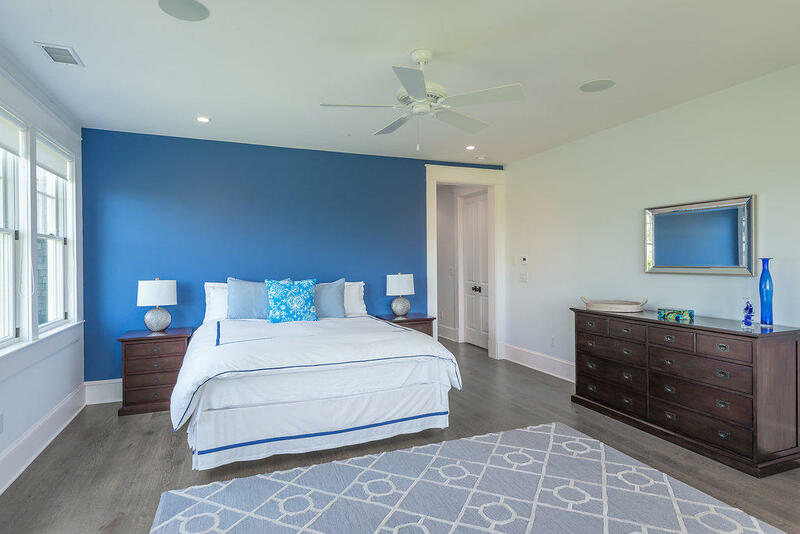 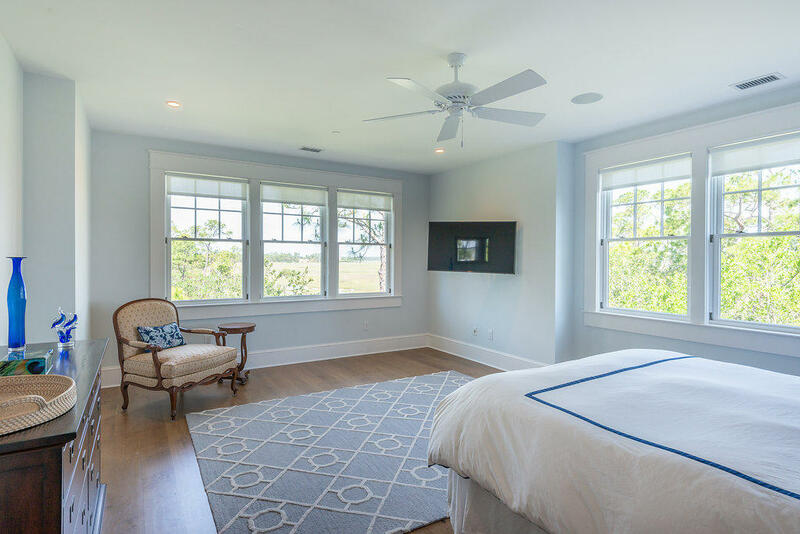 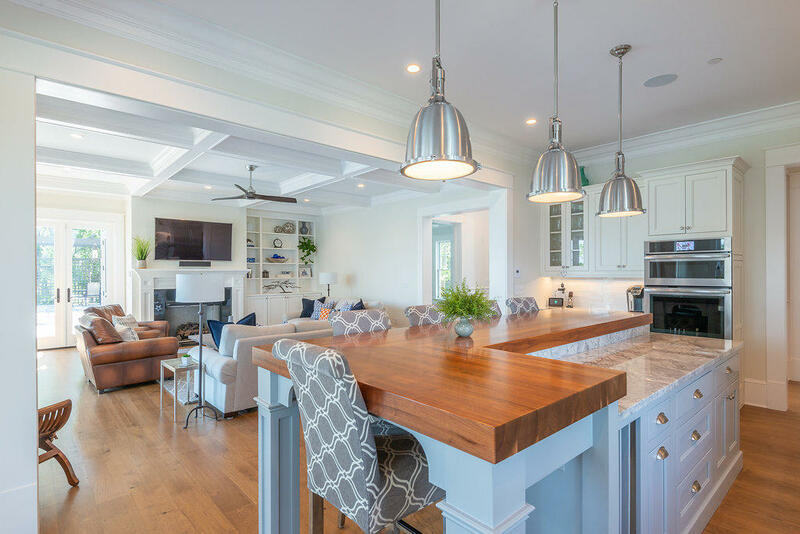 328 Moon Tide has all the makings of a wonderful personal residence or very desirable rental property, especially during the scheduled 2021 PGA Championship being played on the Ocean Course. 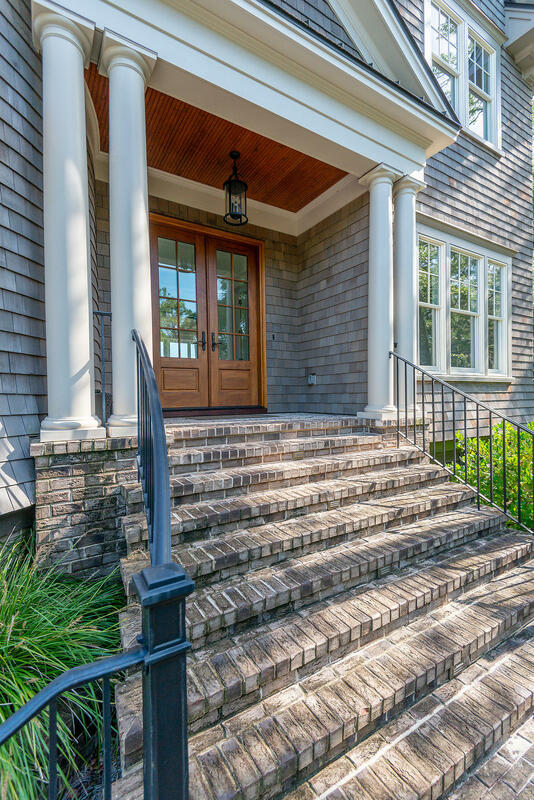 A Kiawah Island Club Membership opportunity may be available with this home purchase. 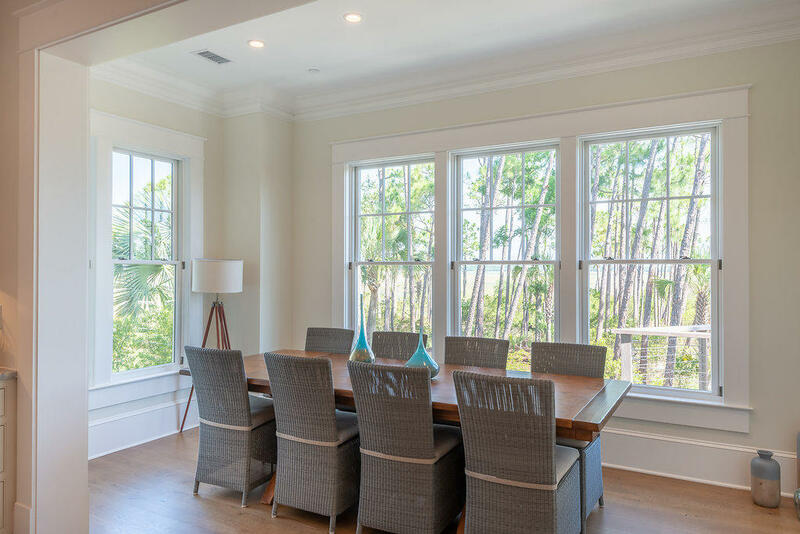 Buyers may join the highly acclaimed Kiawah Island Governor's Club - the Kiawah Island Resort's fabulous club featuring 5 golf courses, including the Ocean Course, Night Heron Park and dining at the numerous first class resort clubhouses and The Sanctuary Hotel. 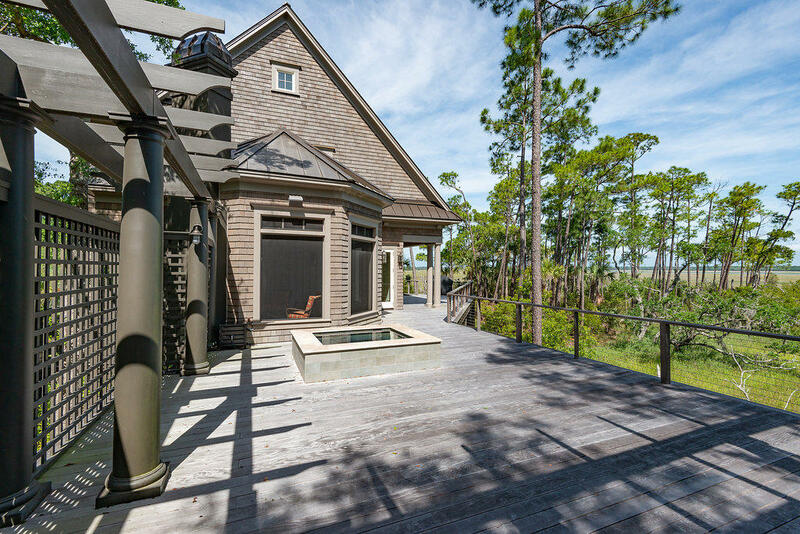 Kiawah property owners and their families are also given access to The Sandcastle - the property owners "beach club", currently being upgraded, to include two beachside swimming pools and a marvelous workout facility. 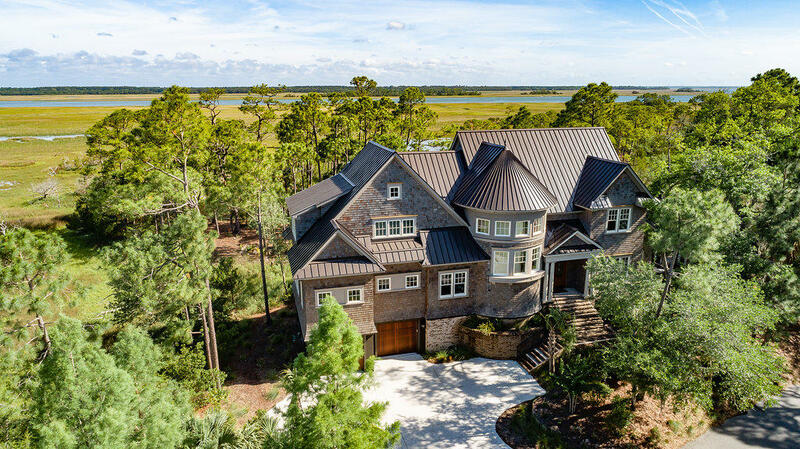 And if you desire the finest private golf experience, many Kiawah owners have chosen to join The Golf Club at Briar's Creek, just ten minutes drive from the front gate of the island. 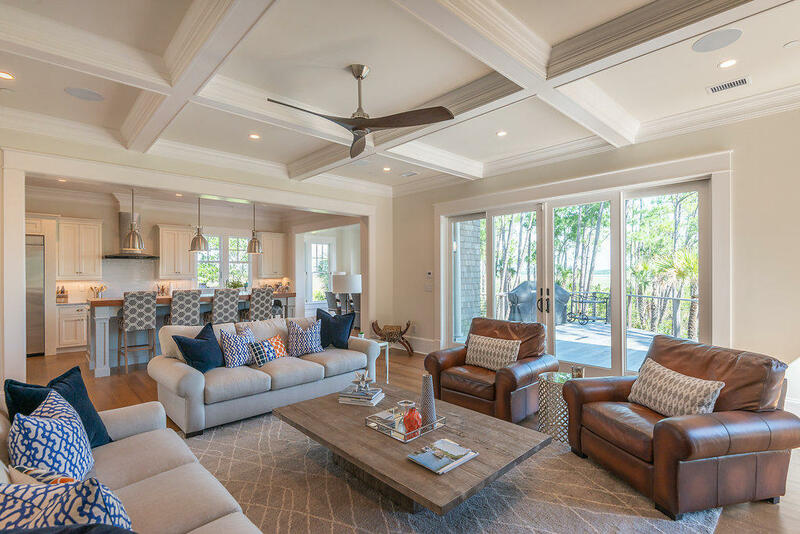 Briar's Creek is an award winning private club that will only have 300 members. 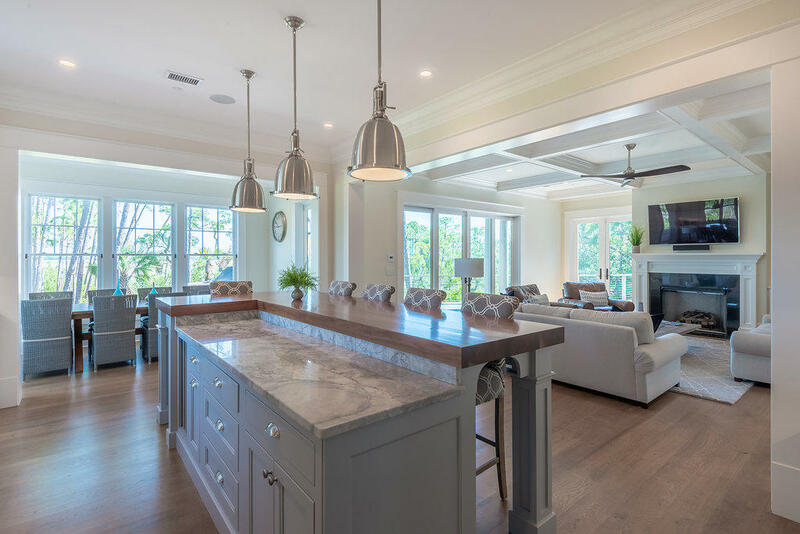 Don't miss the opportunity to own a magnificent custom home in one of Kiawah Island's most spectacular settings at a price that cannot be duplicated in today's market. 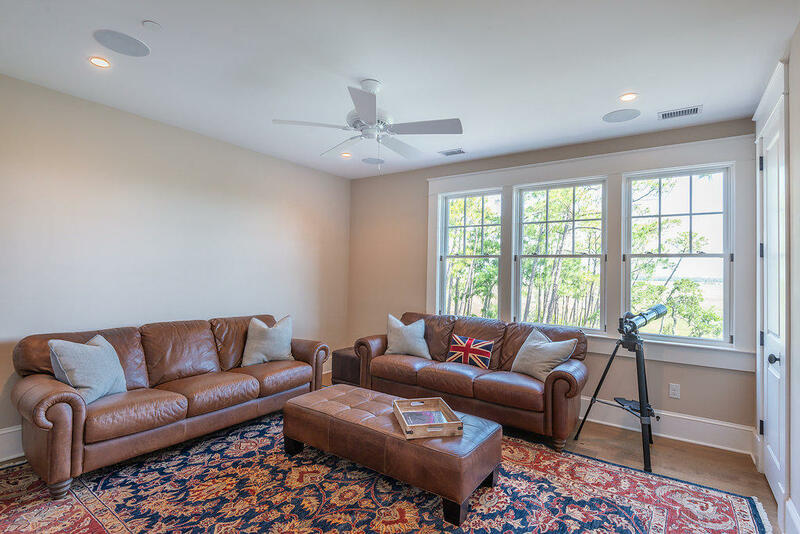 Watch the video tour in the Virtual Tour section of this listing. 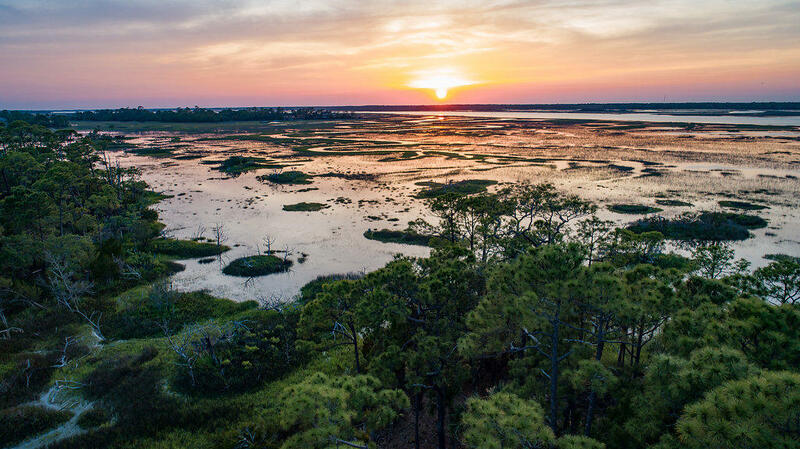 All Kiawah buyers are to pay a one time fee of 1/2 of 1% of purchase price to the Kiawah Island Community Association capital reserve fund at closing.